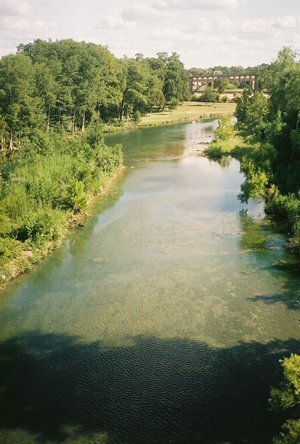 The Guadalupe River was one of the earliest-explored rivers in Texas, and was named for Our Lady of Guadalupe by Spanish explorer Alonzo de Leon in 1689. During 1691-93, Domingo Teran de los Rios, the Spanish Governor of Texas, maintained a colony on the river, and an early Anglo-American settlement, with thirty to forty families living along the banks, formed the boundary of the Power-Hewitson Irish Colony. Near the mouth of the river, historic Victoria was founded. Sixty miles above the headwaters is Gonzales, where the first shot for Texas freedom was fired on October 2, 1835. 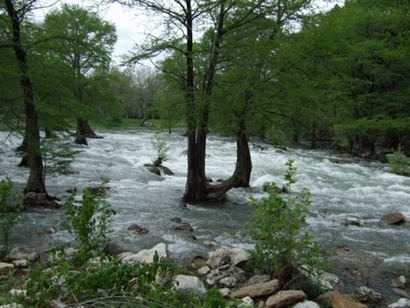 The Guadalupe River is 250 miles long and supports some of the finest recreation spots in Central Texas. Take IH35 to Loop 337 (TX 46) and go west from New Braunfels. Take a right at the first stoplight after crossing the river and follow the blue signs. 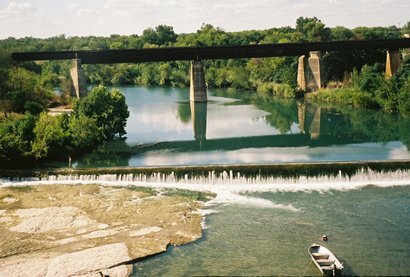 River Road is a 10.6-mile scenic drive between Loop 337 in New Braunfels and Canyon Lake Dam which crosses the Guadalupe River four times. There is no stopping or parking allowed on the road, so the best way to see this area is from an innertube on the river. 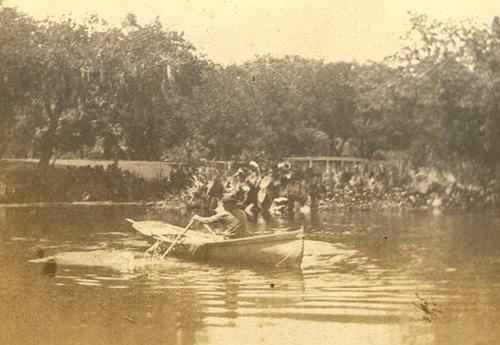 Millions of people float this 20-mile stretch of the river between Sattler and New Braunfels every summer. The river flows from Canyon Dam toward the coast, and is extremely popular. There are over two dozen outfitters along the shore where you can rent tubes and canoes and buy concessions. Most outfitters offer a shuttle service to bring you back to your point of entry. Styrofoam and glass are prohibited on the river, and officers patrol the waters for safety. Whitewater rafting, canoeing, and kayaking are also popular, but tubing seems to be the mode of choice. The river cuts through tall limestone bluffs and towering cypress trees. There are occasional rapids, but for the most part the river flows along lazily. The riverfront property is all privately owned, and there are many places to camp and spend the night, as well as restaurants.